Many of the city’s parks and open spaces rely on the support of volunteers to keep their ground looking their best. Working in partnership with over 50 organisations we provide team challenge opportunities for employee-volunteers to support the city’s green spaces. 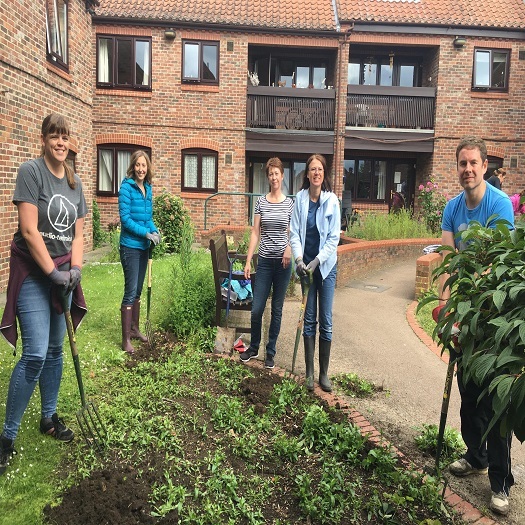 Employee-volunteers can take part in full or half day team challenges with one of the local organisations we work in partnership with to transform an open space. We run a Big Community Challenge each June where employee-volunteers from across our member organisations work to transform one site over three days and a Team Challenge Week in October which is a series of half day team challenges. ● For employee-volunteers who are interested in taking part, contact us on info@yorkcares.co.uk. We will then send through our current opportunities bulletin and work with you to identify a suitable date and location for your team challenge. For more reasons to get involved, read our challenges case study.